First Baptist Church of Richmond has been meeting at the corner of 5th Street and Houston Street since 1885. It was first organized in the home of Lottie Dyer Moore and John M. Moore, Sr. People continued to meet in the Moore home until 1889 when the first church sanctuary was built across the street on land donated by the Moore family. The church shares Richmond's history with other significant families. The George family had deep roots within our church. Mrs. J.H. Davis and her daughter, Mamie, were members of the church. Mr. J.H. Davis was a successful banker in the 1880's. In 1896, he was managing longhorn cattle near the Brazos River. J.H. Davis and his wife, Susan Elizabeth, gave their daughter, Mamie, in marriage to Albert P. George in 1896. The discovery of oil in the 20's made the George Ranch one of the most successful ranches in southeast Texas. Testimony of Albert and Mamie's stewardship can be seen throughout the community today through the George Foundation. Our church has lived through several great transitions. 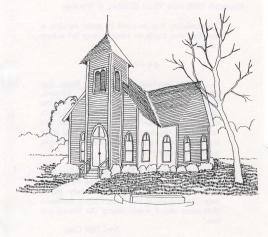 The original church building of 1889 was destroyed in the great hurricane of 1900. After suffering through a devastating flood the year before, Fort Bend County again experienced loss of lives, crops, and buildings as the hurricane moved inland. 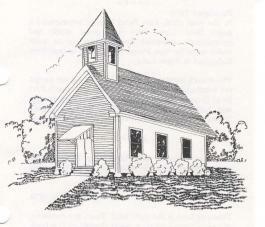 The original church was replaced in 1902 by a wooden structure where services were held until the late 20's. In 1930 the new worship center was dedicated. The architect of the new building was Alfred Finn who also designed the San Jacinto Monument outside of Houston, Texas. This beloved sanctuary, full of dark wood and topped with an impressive spire, was the home of church life for 60 years. Those who had the joy of being in the sanctuary will never forget the beauty and serenity felt there. On September 1, 1990, an electrical short started a fire which destroyed the building. It was the largest fire that the city of Richmond had experienced and was fought valiantly by 175 firemen from 12 fire departments from the surrounding areas. 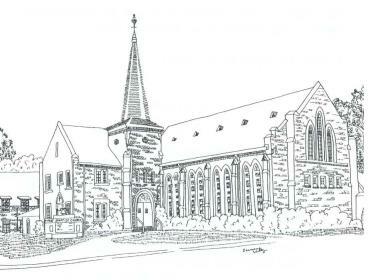 The current sanctuary was dedicated in 1993. It has a seating capacity of 400. The foyers in the building were designed especially for the purpose of fellowship. They are well used before and after worship as individuals and families catch-up on the family news and make plans for more time together. In 1997, another electrical fire claimed our Education Building. It was replaced with a larger structure, dedicated in 1999, which houses our office suite and spacious classrooms. Our history has prepared us for our future and for yours. We are acquainted with grief and change. We are acquainted with joy and fellowship. Come and experience our heritage and our future.